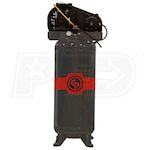 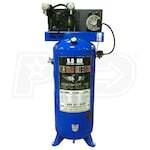 When it's time for a huge task, you need a stationary single-stage air compressor that won't quit on the job. 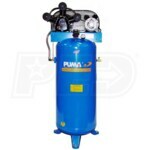 This year we took the guesswork out of discovering the perfect stationary compressor and gathered the best-selling, top-rated and expert-recommended stationary single-stage air compressors for you below. 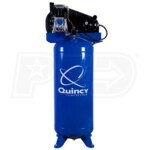 These are a great investment, but if you'd like to learn more about them first, read our Stationary Single-Stage Air Compressor Buyer's Guide first. 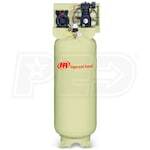 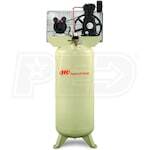 Best Stationary Single-Stage Air Compressors.. Our Power Equipment Direct how-to library can help you learn about How Air Compressors Work, Top-Rated and Best-Selling Quiet Air Compressors and Oil-Lubricated Vs Oil-Free Air Compressors.